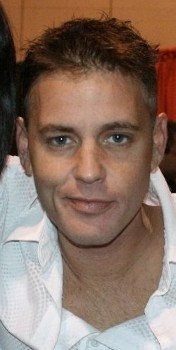 Former 80s heartthrob Corey Haim was found dead in his apartment this morning, due to an apparent and possibly accidental overdose. Corey Haim may not be well known to this generation, but in the 80s, he was the Zac Efron of his time. Well known for his role in The Lost Boys, where he and fellow costar Corey Feldman move to California and battle a gang of teenage vampires, he later starred in reality TV show "The Two Coreys" alongside Feldman. The show followed Haim's struggle to overcome his drug addiction and salvage his fragile friendship with Feldman. As is often the burden of teen actors, Haim struggled with a drug addiction, reportedly checking into rehab 15 times. In 2004, he claimed to finally be sober, stating that he had a strong support group but would likely be "a chronic relapser for the rest of my life." Haim was pronounced dead at 3 am at a hospital in Burbank, California. According to the Los Angeles Police Department, Haim had been battling flu-like symptoms for several days before collapsing at his apartment Wednesday night. His mother, who was there when he collapsed, called 911. Several prescription drugs were found on the premises, but no illegal ones were discovered. Currently, authorities believe that his death may have been caused by an accidental drug overdose, but they are still awaiting toxicology reports for confirmation.